The quality is good, the fiber signal is really good! Ah, that's good.This customer service is very dedicated! The third time to buy really good! Old customer, hope to have more good goods in the future. Good quality, excellent quality and reasonable price! 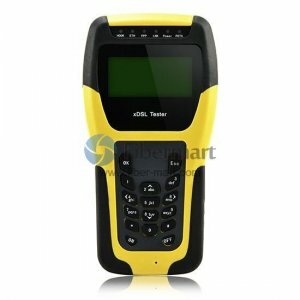 The common used ADSL Tester is ADSL2+ Tester. It is an easy-to-use, hand-held advanced telecommunication tester that used for the installation, maintenance and measurement of ADSL2+ service. This tester supports the testing function such as parameter, error, DMM, PING that related to ADSL2+ service, user register authentication on the ADSL2+ user’s line side. It also directly enables the engineers to verify, troubleshoot and evaluate the ADSL2+ service. It is the right tool for the network test job. 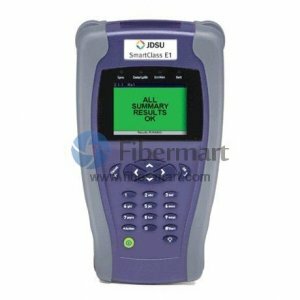 Fiber-Mart supply a range of ADSL2+ Tester, and chinese 2m code error tester. Welcome to our store. Contact us at [email protected] or Live Chat with us. Buy quality fiber optic products on Fiber-Mart. Save your money & time right now!